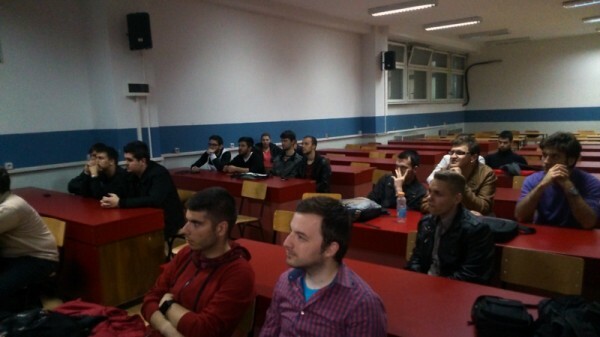 The Faculty of Computer Science and Engineering – FCSE, in Skopje, Macedonia recently got its first Firefox Club. Around 40 students that attended the promotional event, held on 30 April 2014 in classroom No. 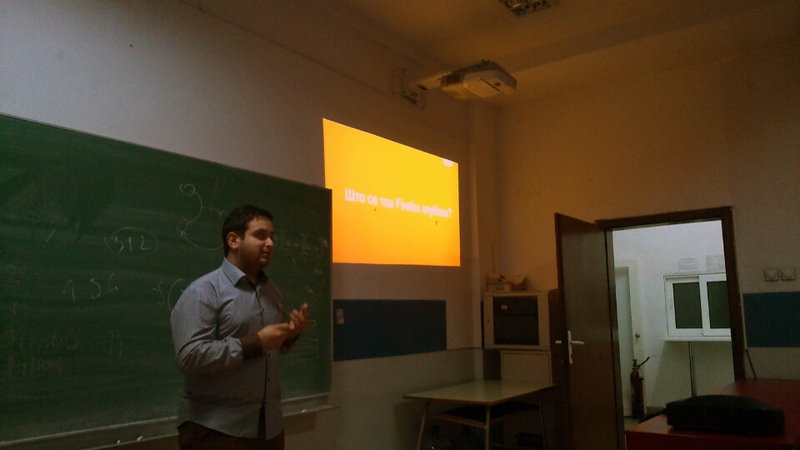 117 on the Faculty of Technology and Metallurgy (FTM) in Skopje, had an opportunity to learn more about the objectives of the Club, the Open Internet, Free and Open Source software, the Mozilla Mission and got a chance to test Firefox OS before it is officially introduced in Macedonia. 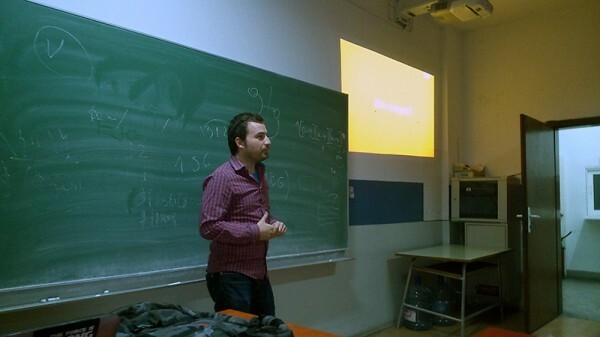 The event was opened by Ivan Stamenov, one of the founders of the Club, with a short presentation about the idea for opening a Firefox club in Skopje. Ivan, started his presentation with a short video about the Open Web and then talked about the nature of the Firefox clubs, their activities, possible ways of joining and the Mozilla Mission. After Ivan, Goce Mitevski, one of the Mozilla Representatives for Macedonia and an active member in the Macedonian Mozilla community, addressed the attending students. During his presentation, Goce introduced the Mozilla Mission in details and through practical examples explained the benefits of Free and Open Source Software and the Open Web, as well as why Mozilla advocates and works for the Web to remain open and accessible to all. Cable providers in the US and their insatiable appetites for higher profits were also mentioned in the presentation, for the negative effect they are having on the neutrality of the Web. Goce, then talked about Firefox OS as a new and universal platform for Web applications and offered the attending students the chance to test Firefox OS in Macedonian on the GeeksPhone Keon device. The Students were also invited to take part in the first Firefox OS hackathon, scheduled for 10 May, in the same classroom on FTM. Two students were given t-shirts with the Firefox logo and all students had the chance to get free buttons, patches, rings, and other swags from Mozilla. Question: What’s the name of the new Firefox UI introduced in version 29? Question: What’s the name of the Firefox developer version newer than Aurora? Around twenty students became Club members before the end of the event. We separated with an invitation to meet and hang out on 10 May.